The last 12 months at Fablab Saigon have been quite intense, from the opening of the cafe and co-working space in Septembre 2015 to the maker hackathons like TOM and SEA Makerthon in June 2016, and most recently the Mobile Fablab Vietnam project. We’ve been communicating on those achievements. But one big and much less visible achievement of the past year, has been to overcome the conflict between the 3 initial co-founders. This resulted in the formal exit of Huynh Cong Thang and Duong Quynh Huong in January 2016. It may seems strange to state this as an achievement, but statistics show that co-founders conflicts are accountable for 62% of startup failures. Fablab Saigon is a place to grow hardware startup and is still itself to some extend a startup. As makers, we want to walk the talk. Co-founders conflicts are sadly rather common. One year down the line, it’s time to share our experience of it. Also, it is an opportunity to clarify a part of Fablab Saigon’s history that people often wonder about. So why is it that co-founders don’t get along anymore? Everyone would have their own explanation, the short way is to say that we “didn’t share the same vision and eventually chose different paths”. Fablab Saigon started in March 2014. At that time none of the co-founders were full time. When Quynh Huong and Thang eventually left their then paid job in August 2015, they already started on a new venture. It is not to say that they didn’t contribute to Fablab Saigon, they did their part in the first year, but at no time Fablab Saigon became their main project. 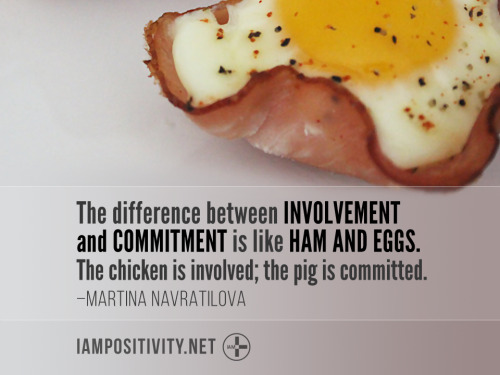 In other words, as in the story of bacon and eggs, they were involved chicken, not committed pigs. This wouldn’t necessarily have been a problem if there wasn’t on top of it a failure in communication and unmet expectations. But it took us several months to realize the full impact of it. The awakening point, we owe it to the coach in the acceleration program that Fablab Saigon was part of. In Novembre 2015, we were in the middle of a cash crisis and he told me to do a reality check on the team. Quynh Huong was supposed to do marketing 20% of her time and Thang take care of the cafe and co-working space and oversee our finances 50% of his time. Clearly that wasn’t working. Worse than the undone work, this started to create distrust. Who would work for/with co-founders who fail to do their part of the job? People who joined our team didn’t take the job for the salary or for the fame, but for what Fablab Saigon stood for. As the lead co-founder and CEO, I take my part of responsibility for Quynh Huong’s and Thang’s lack of engagement. Afterall, it was my job to build the team. According to my ex co-founders, I was being tyrannical and lacked open-mindedness. I’m sure there is some truth to it and I shall work on improving myself. At the end of the day, I couldn’t build with them the organizational culture that would further support the development of Fablab Saigon. In fact and ironically the organizational culture that I want for Fablab Saigon is one where everyone can be a “co-founder”, free to develop their leadership and shape their own contribution and purpose, committed, taking part in building a common vision. This cultural gap was at the heart of this conflict. It was hard for me to make them see the problem, the distrust they were building, and also the growing feeling of unfairness in me and some members of the team. Quynh Huong and Thang were already quite disconnected from the reality of Fablab Saigon. As far as I’m concerned, they didn’t acknowledge that part and this makes me rather uncomfortable with them until now. When do co-founders stop being co-founders? When Quynh Huong and Thang left, the 2 main issues to address were money and recognition. Handover of the operational work was not really a problem as they were not that much operationally involved. How did we deal with the money? To recover full control and to stop feeling obliged to involve them in decision making, I entirely bought back the company. We asked a trusted third-party to do a valuation. I ended up paying a total of roughly 4.5 thousand dollars. Not that much money, but still a significant amount knowing the cash issue that Fablab Saigon was facing at the time. This valuation was a painful exercise as we uncovered the distance and misunderstanding that had built up between the 3 of us. To this day, Quynh Huong is still an investor in Fablab Saigon, along with 2 other angels who each lent us 6 thousand dollars. That was in May 2015. This is a revenue based financing scheme that doesn’t entitle to shares. The second problem we faced was the feeling of unfairness that remained strong even after the formal exit as both Quynh Huong and Thang kept using their title of Fablab Saigon co-founders, and that their contribution and reputation remained implied by that title. Knowing that they started to work on their new venture more than a year ago, it was rather frustrating. Why use your old job title when you already got yourself a new one? Sharing success isn’t a problem in itself, but misplaced recognition damages integrity. 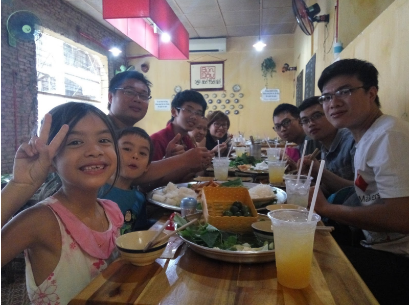 At that time, it would maybe have been more cost effective and less frustrating to start over and create a new business, for example Fablab Ho Chi Minh, with exactly the same team, the same partners and in the same house. That would have clearly cut off the ex co-founders. But at Fablab Saigon, we work to accelerate access to digital fabrication for the local community, and starting over would have created confusion (especially for IPP, our main innovation grant donor) and too much of a time cost for this purpose. The company behind Fablab Saigon is Conech, which means frog in Vietnamese: its mission is to help Vietnam leapfrog. In the long term, I strongly believe that keeping our purpose-driven attitude will pay off. Eventually, those of us who continue with Fablab Saigon will grow beyond that resentment. And hopefully this article will help with it. Fablab Saigon survived its co-founders conflict and even people who left still want to be somehow associated with it. This is an undeniable sign of a successful development, so we should be proud and keep up the good work!